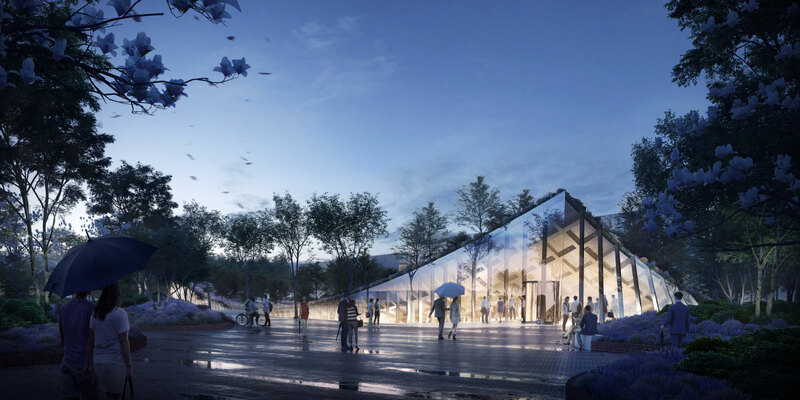 After facing criticism over an initial 2014 master plan for renovating the historic southern campus of the Smithsonian Institute, the Bjarke Ingels Group (BIG) has revealed a sweeping overhaul of its original design. 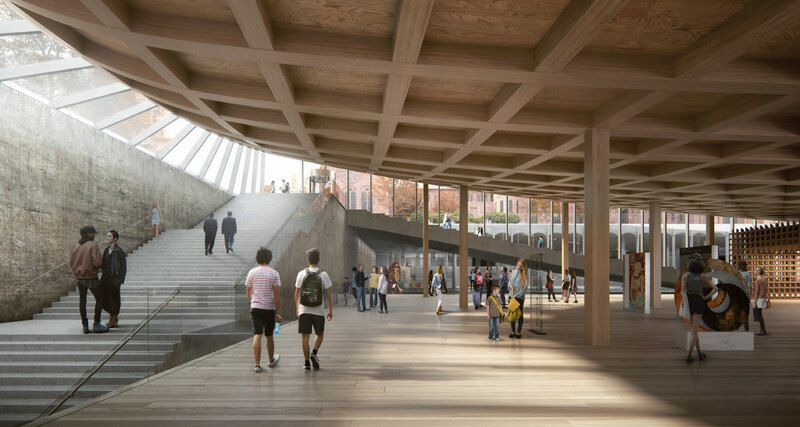 The firm presented their new scheme in front of the U.S. Commission of Fine Arts (CFA), a federal agency responsible for reviewing design proposals in Washington D.C., and were told to go back to the drawing board. 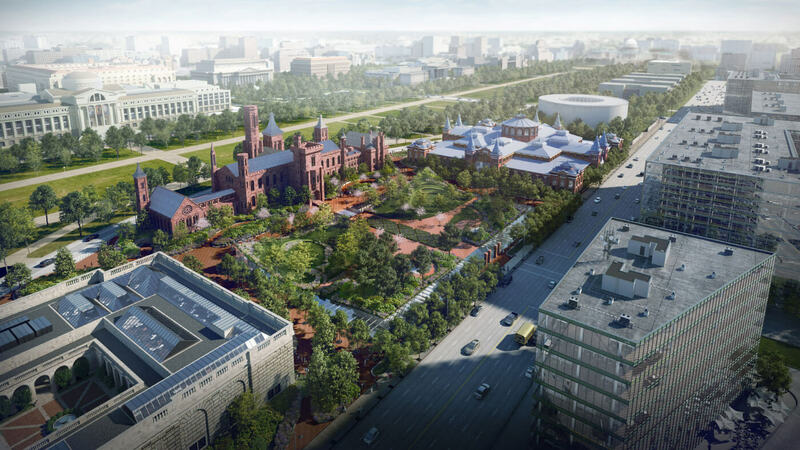 The Smithsonian Institute’s southern campus runs alongside D.C.’s National Mall, one of the most iconic stretches of park in the country. 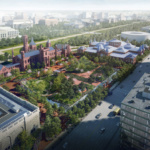 Any changes to the surrounding landscape, especially when it involves renovating the Smithsonian’s Castle, which opened in 1855, and the adjacent four-acre Enid A. Haupt Garden, were bound to be controversial. 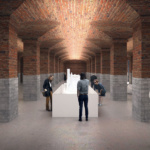 The largest addition, and the one that drew the most ire from preservationists, would have replaced the roof of the sunken Quadrangle Building under the Haupt Garden with a glassy, upswept volume, and built a new subterranean auditorium, gallery space, café, and store. 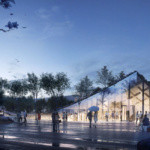 Bjarke Ingels was on hand to personally present the “Smithsonian’s Preferred Alternative F” to the CFA yesterday. 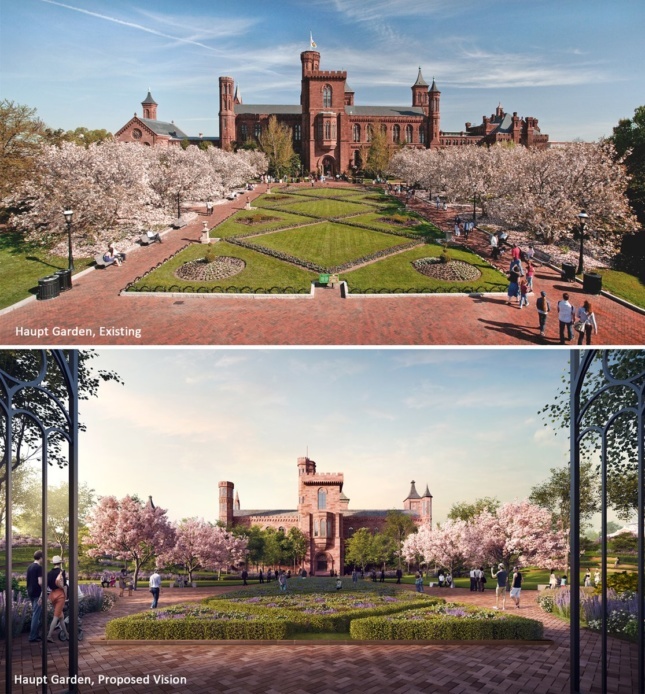 Among the biggest changes to the original scheme was the toning down of the buried gallery’s corners, so that a new Haupt Garden could be built on top of the space. 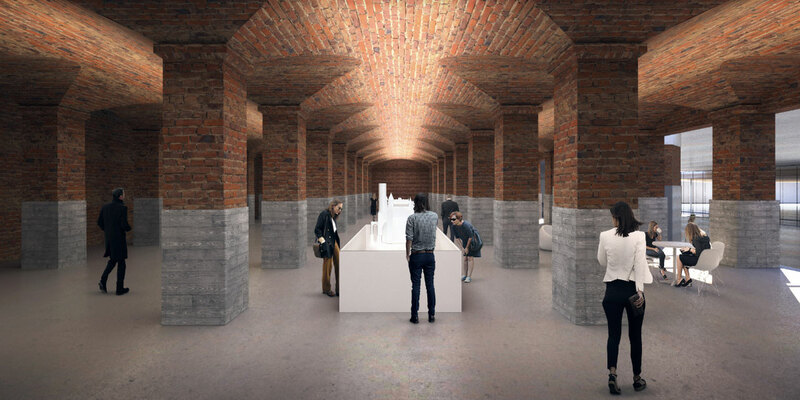 A sloping entrance to the Castle had been included in the original plan, but was left out of this revision, although the underground space will still be ringed with skylights at the ground level. 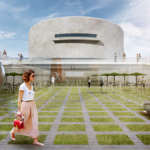 The Hirshhorn Museum, which also sits on the campus, will expand underground as well, although plans to remove the walls enclosing the site have been scrapped. 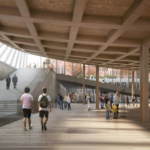 Community input over the original design has reportedly played a large part in the new design. 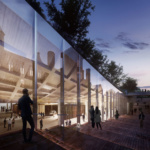 The CFA took umbrage with the plan’s demolition of the existing garden and entrances, as well as BIG’s lack of use for the existing Arts and Industries Building on the campus. Some of the commissioners in attendance were particularly harsh. Ultimately the CFA took no action, and told BIG to come back with alternative schemes and more information at a later date. Regardless of the final design, the southern campus will need extensive renovations. The initial 2012 existing conditions survey discovered that all of the buildings on the campus are in need of a mechanical systems upgrade, that the roof of the current Quadrangle building leaks, and that the Castle needs to be better protected against seismic events. 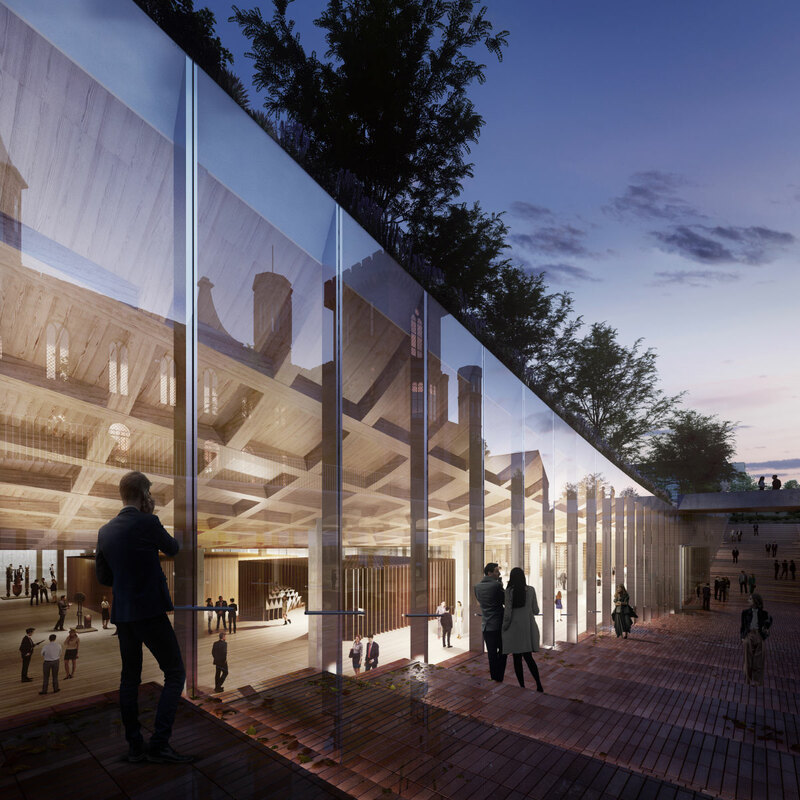 The first stage of the $2 billion plan, the renovation of the Castle, is expected to begin in 2021, and the entire campus renovation should finish in 2041. 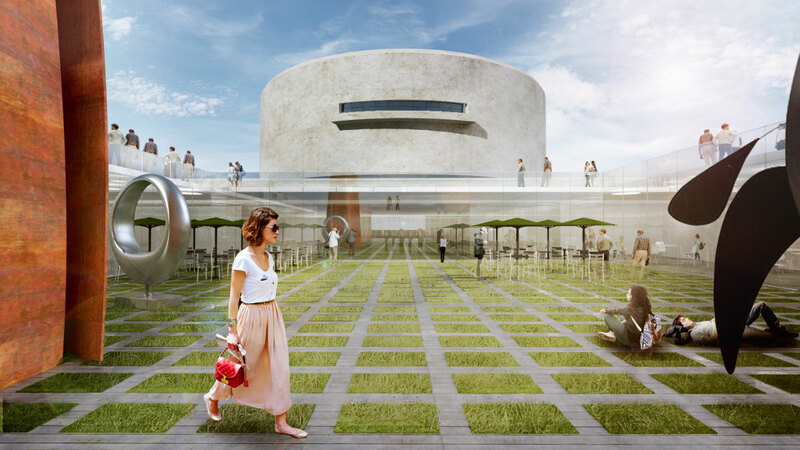 BIG-Bjarke Ingels Group Hirshhorn Museum Smithsonian Washington, D.C.